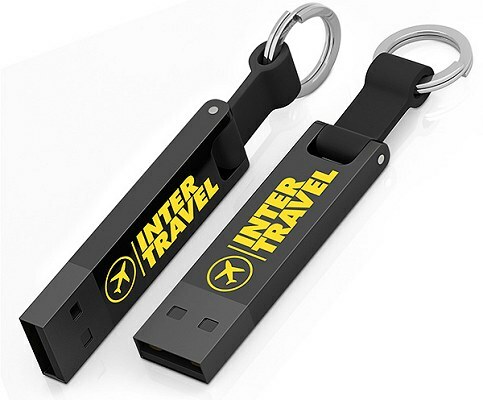 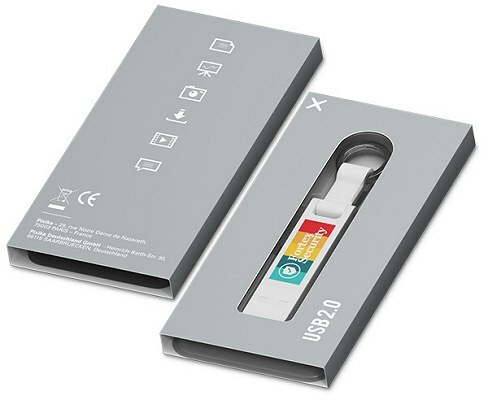 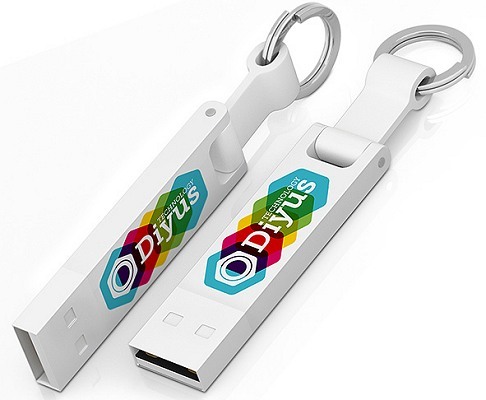 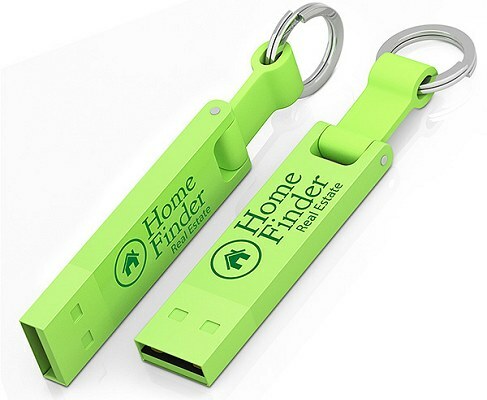 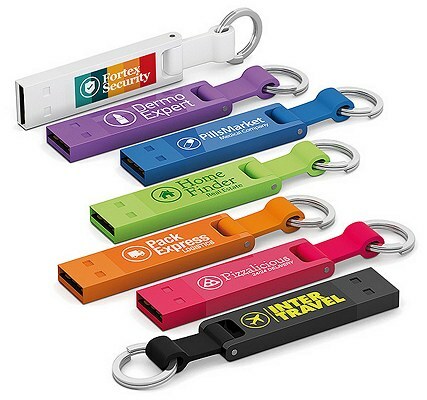 Keyring Promotional Flash Drive bulk company logo printed promotional gift. The compact capless design has an elegant integrated silicone key ring. Encapsulated flash memory, dust and shock resistant.